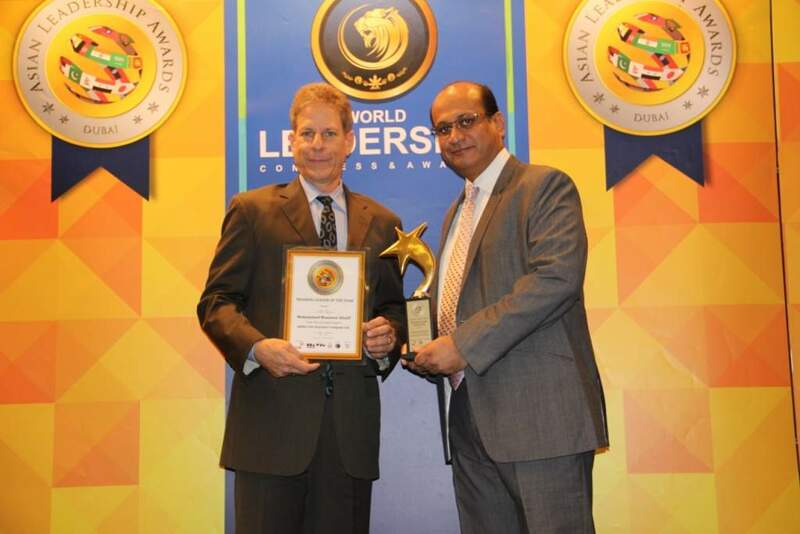 Karachi :October 19, 2015, – Jubilee Life, Pakistan’s leading life insurance company in the private sector, added another feather to its cap, bagging the Asian Training & Development Leadership Award 2015 at a ceremony held in Dubai recently. In a glittering event, graced by the presence of renowned corporate leaders from around the world, Mr. Munawar Khalil, Head – HR, Learning & Support, Jubilee Life, was presented the “Training Leader of the Year” award. The award is presented to corporate individuals and their organisations every year that have demonstrated outstanding achievements and have become exemplary leaders in the field of learning and development. The prestigious award is a celebration of all companies that have contributed in setting high standards of work and management in their respective industries. Excellence in leadership is the primary criterion for the award. Every individual nominated is assessed on the basis of their vision, strength, innovation, ingenuity, knowledge and foresight over the last one year. Jubilee Insurance is a global brand of Aga Khan Fund for Economic Development (AKFED) that offers diverse insurance solutions (life, health and general) in the Asian and East African markets. Jubilee Life in Pakistan offers uniquely designed range of life and health insurance plans, catering to various customer segments and needs. These include retirement, child education, marriage, saving & protection, wealth accumulation, life insurance plans for women, rural insurance plans and life and health insurance solutions for the less privileged of our country. The company also recently launched Takaful to cater to Pakistanis of all walks of life.